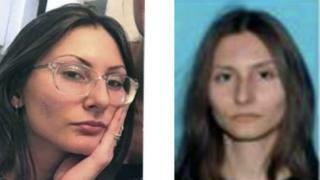 Schools throughout the city of Denver, Colorado, have closed for the day as authorities search for an “extremely dangerous” woman. “All facilities and programmes are closed for the day – no employees are to report,” Jefferson County Public Schools posted on Twitter, saying they had made the decision “in collaboration with other Denver-metro area school districts”. “She is armed and considered to be extremely dangerous,” the sheriff’s office post reads. The suspect’s family has urged her to turn herself in. “It’s like a bad dream. We don’t know. We don’t have any ideas,” her father told CBS Miami.